From Goodreads ~ Never before in human history have so many people lived for decades beyond their working years. 10,000 Americans turn 65 each day and their average life expectancy is another 20 years - and many will live longer. But will they just live or have a meaningful life? The truth is that many - if not most - people approaching the latter years do not have a plan, much less a strategy to thrive instead of just survive. I work in the retirement industry so when I come across books about retirement and planning for retirement, I'm usually interested in reading them. The author is in his early seventies and in the third and final season of his life (ie retirement) after working for international charities as CEO, so it's obvious he has a big heart. The other two "primary seasons", by the way, are childhood and adulthood. He doesn't claim to be a professional ... he's just offering advice as a friend. This book doesn't cover anything financial ... retirement plans, government plans, investing, etc. 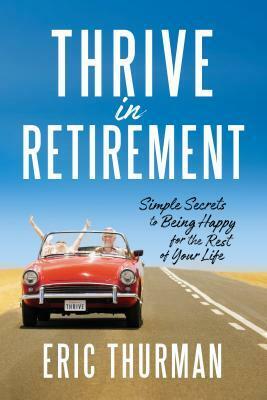 The goal is to show you how to be happy in retirement since for most of us, it is a big change in our lives. There are appendices to help organize you to clarify your final personal wishes and leave good memories for the people you love. For the most part, I liked this book. There were lots of interesting stats, inspiring quotes, websites to check out and stories about real people who did amazing things when they were older. What I wasn't into was the religious parts. I'm sure many find comfort and have an interest in this information but I skipped over chapter 10 and most references to God, etc. that were throughout the book (it started about a quarter of the way into the book). It's fine that the author is into religion but that part wasn't for me.